Join me as we continue the Tech Talk series at the New Bern Chamber of Commerce this Wednesday morning, November 9, 2016. 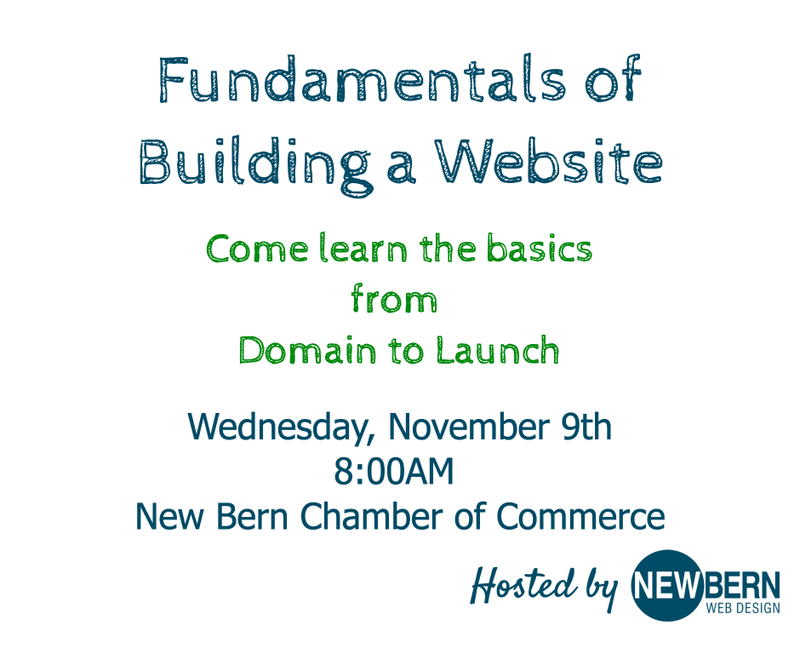 We will be discussing the Fundamentals of Building a Website and what you can expect during the process whether you choose to hire a professional or complete the project on your own. Join me Thursday as I lead the next Fall Marketing Series discussing Website Development for Small Business Owners. 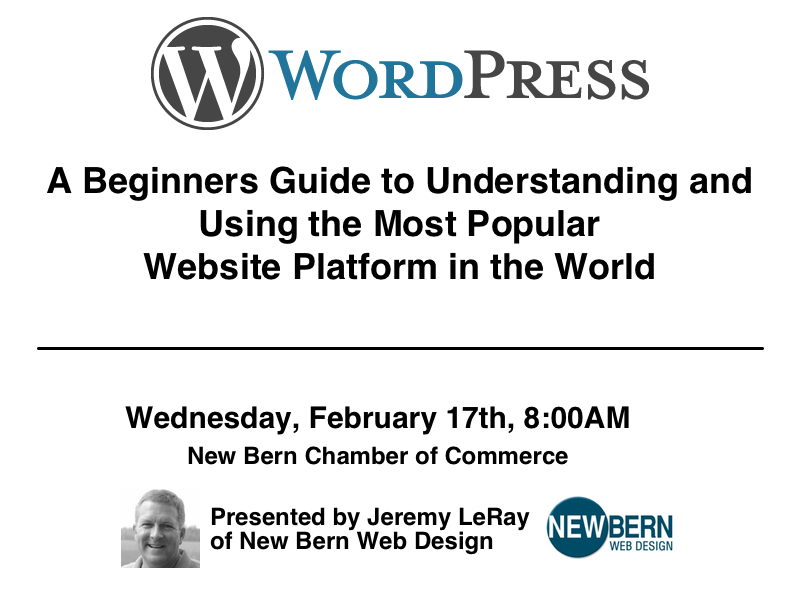 During this session, you, as a small business owner, will be provided with tools and tips for the development of your website. This month’s seminar (April 20, 2016) will be on WordPress Security. Thanks to everyone who came to the seminar yesterday. 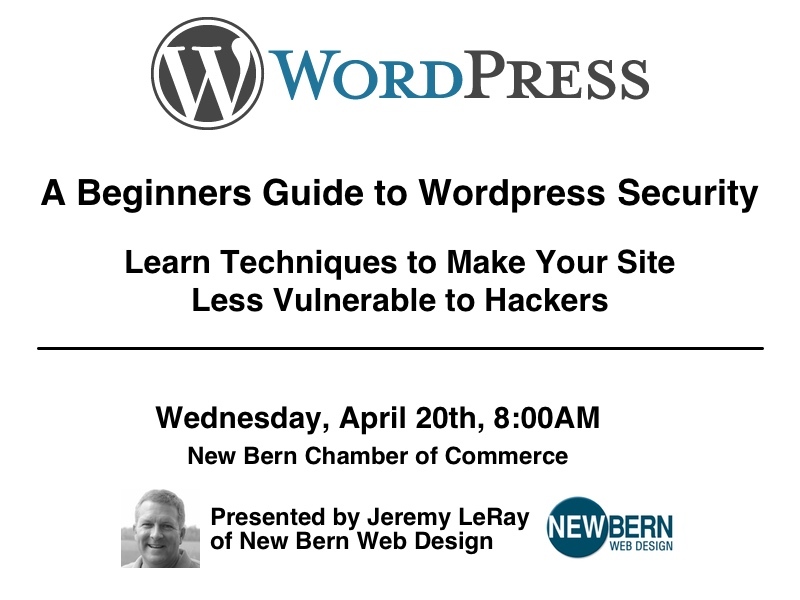 April’s seminar will be on WordPress security. Details to follow soon.